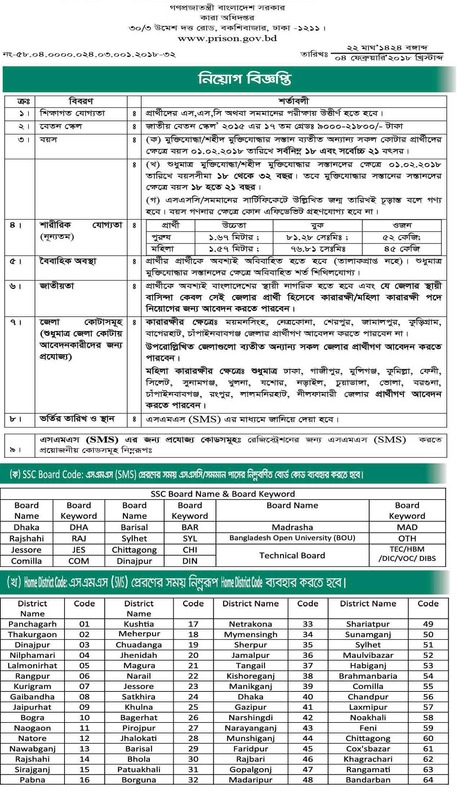 Bangladesh Jail Police Recruitment Notice 2018 for the post of Prison Guard. Prison job circular of directorate jail for both male and female. Great opportunity for unemployed of the country. They can play a vital role and take a challenge of criminal conviction and safe them inner in the jail. (a) minimum age for general Quota is 18 and maximum age is 21 years. (b) minimum age for freedom fighter Quota is 18 and maximum age is 32 years. Marital Status: Unmarried (not divorced) but it is flexible for freedom fighter Quota. After first SMS further instruction will be given through reply SMS. Admission Date and Time: Will be informed through SMS. 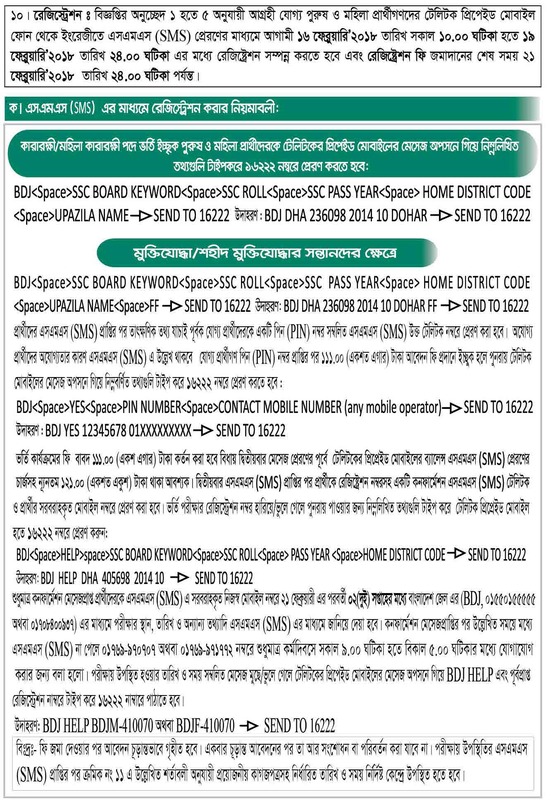 If you are eligible for the post you can apply through SMS. After getting admission SMS you need Need to take the necessary papers to the admission spot. Feel free to ask any question about this job circular in the comment section below. Stay connected with our website to get all kind of job information of Bangladesh Jail such as examination schedule, exam result, examination preparation tips etc. Please share this valuable job with your friend and dear one using share button below of your choice.